From the main menu press your Left button when "Play" is highlighted. Lain's eyes will light up. Press your Enter button. 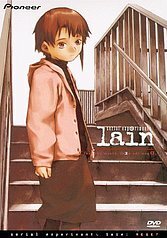 For DVD-ROM players, click on Lain's eyes.